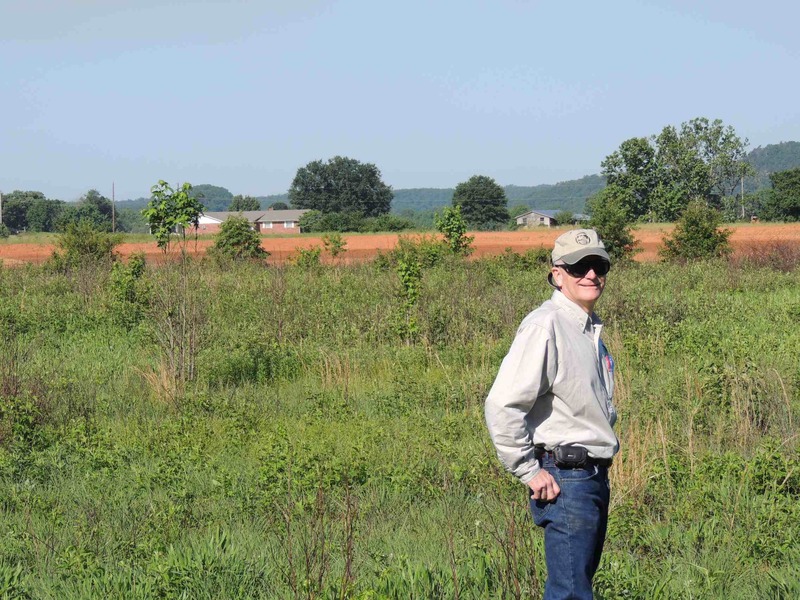 A representative from Resources First Foundation recently attended the second annual private lands workshop in Arkansas to announce the roll out of our new Arkansas Conservation Center. After a day of presentations, everyone had the sense to abandon the meeting rooms and head outside. The group tour visited six different landowners with vastly different operat ions but the same instincts for innovation and affinity for wildlife. Over the next several months, we hope to bring you some of these landowners’ stories, once we have obtained their contact information and consent. In the meantime, it’s wonderful to meet farmers and woodland owners in their element - and to hear the nuggets of common sense and humor that occasionally fall from their lips. For example, “I’m one who believes it takes a real good government official to beat none at all!” came from a landowner who had nothing but praise for the NRCS and FSA officials who had helped him use WHIP funds to transform a stand of bermuda to a mix of native warm season grasses for quail and turkey. Another stop showcased the industry of boy scout troops who have owned and managed land for decades to supply income for troop activities. In recent years, the scouts decided to manage their overstocked stand of loblolly pine to benefit wildlife. Their work began with thinning to open the canopy and, with the support of WHIP, two burns in four years have resulted in the comeback of native grasses and vines in the understory. A biologist from the Ouachita National Forest described recent research that showed such burns in open pine or mixed pine/oak result in prime real estate for wild turkeys. They tend to concentrate their nests in close proximity to same-year burns - possibly for easy access to habitat where poults can glean insects and seeds. An entirely different kind of operation highlighted EQIP investments in pasture improvements at a farm practicing intensive rest-rotation grazing. A total of 16 to 18 water tanks for cattle, combined with portable electric fencing allows precise management of grazing. As the landowner said, “Technically, I’m growing grass, the cattle are just consumers of my product.” This intensive system of grazing has allowed the farmer to increase his herd from an average of about 30 to 130 head! 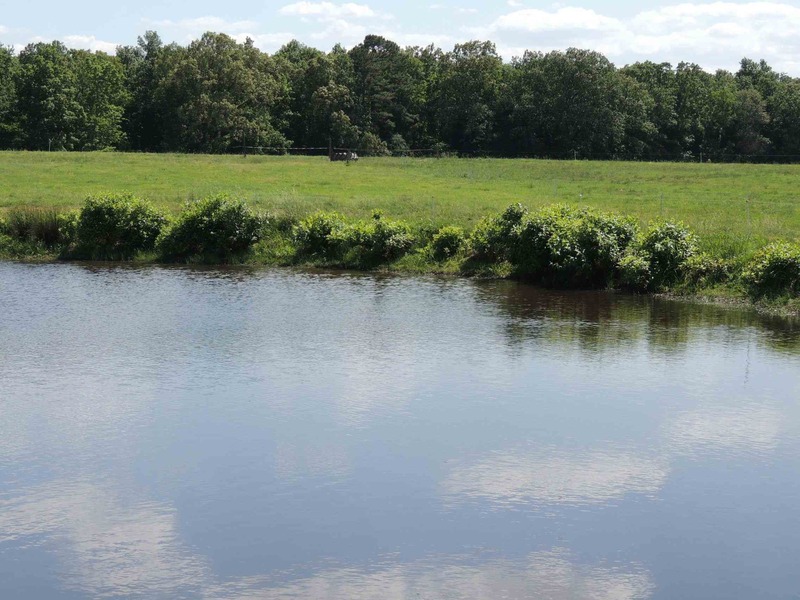 EQIP dollars paid mainly for the improvements that prevent erosion and improve water quality. These also included planting trees and native grasses and installing limited access to pond edges for watering cattle. The pond’s unusually clear blue water hostgood sized bass - in stark contrast to the opaque muddy waters that farmers and biologists are accustomed to seeing in cattle ponds.